Are you looking to make extra income that is sustainable and dependable year after year? There are many different side hustles you can start that could earn you a couple extra thousand dollars every year. However, most of them are not sustainable and require your time. For example, years ago I set out to become a freelance writer but soon realized I was spending a ton of time every week researching, editing, and writing blog posts. That is when I realized that I didn’t want to trade my time for the extra income I was earning. This is not to say I wouldn’t consider freelance writing in the future … but it isn’t right for me now based on the time requirement. But wouldn’t it be awesome if you could build an income stream that doesn’t require a ton of time to maintain and grows on it’s own? Well if that is what you are looking for … might I suggest building a dividend income stream. Investing in dividend stocks is one of the most sustainable income streams out there that you can build and grow. It has been the most successful side hustle for my wife and I to date … and it continues to grow like crazy. After spending the last 4 to 5 years really building our dividend growth portfolio, we will finally make extra income from this source that tops $2,000 this year! The great thing about this source of income is that it will continue to grow around 5% – 7% a year if we take no action. However, if we want to make it to $3,000 per year or even $5,000 or $10,000 per year (which we do) … then we need to keep growing this source of income. 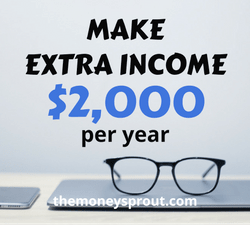 If you are ready to start your dividend income stream or want to ramp up your income, I have highlighted what it will take to make extra income that will surpass $2,000 a year. Why $2,000 in Dividend Income? When my wife and I first started buying dividend stocks … we wanted to earn $100 a year. It wasn’t long after we hit that target when we wanted to earn $200 in dividend income … then it went to $500. So you may be asking … why is $2,000 in dividend income so special? It really isn’t anything special to be honest … other than another milestone to build upon. It was only 2 years ago when we discussed the importance of earning $1,000 in dividend income. Later that year (in 2015) we ended up earning $1,475 in dividend income and haven’t looked back. Now just 2 years later, we will earn well over $2,000 in dividend income. Actually, our goal is to earn $2,400 in dividend income in 2017 … which I believe we should hit. The following year … we have a goal to earn $3,000 in dividend income … which certainly looks achievable. Hopefully you are starting to see the pattern here. Whether you are just starting out building your dividend income stream, have been slowly buying dividend stocks for 5 or 10 years, or are able to live off your dividend income … it is important to set goals. 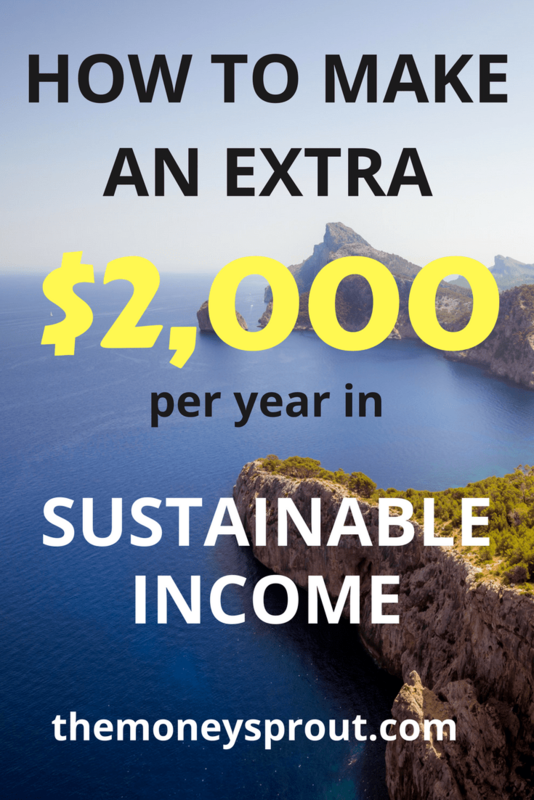 And why not set a goal to earn a sustainable $2,000 annual income stream? Just like when we calculated how to earn $1,000 in dividend income annually … it is very simple to calculate how to earn $2,000 as well. Of course, it takes a lot more time and capital to make $2K instead of $1K, but the math is simple. And don’t forget … you still need to invest in only the best dividend paying companies, in order for this income stream to work. So the first step to earning $2,000 a year in dividend income is to only invest in companies that have had a history of raising dividends. For example, in our portfolio we use several criteria to screen for top dividend paying stocks. I suggest you follow a similar strategy for stock selection. One important factor that we look for when screening top stocks is to find companies that pay a fair yield (which should be part of your screening process). As part of our stock screening process, we look for companies with a yield of at least 2.0% or higher. Every once in a while, we may lower this criteria below 2% if the company has a huge dividend growth rate such as Apple (AAPL). We also look for companies that have a dividend payout ratio (DPR) of 60% or lower, a price to earnings ratio (P/E) under 20, and dividend growth rates (DGR) of 6% or higher. Once we narrow down our list of stocks, we can easily calculate how much capital we would need to earn $2,000 in annual dividend income. In a perfect scenario, we would find a stock that yields 3.0% (or higher) with a 10-year dividend growth rate above 6%. In order to earn $2,000 on a stock yielding 3%, we would need to figure out our initial investment amount. By dividing the annual dividends by our current yield, we can estimate that it will take $66,667 of capital to earn $2,000 in annual dividends. So if you were to invest in this hypothetical company today, it would take almost $67,000 up front to earn $2,000 in dividend income a year. 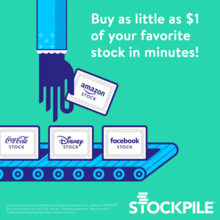 Let’s take a look at some real examples of quality stocks we could buy and turn it into a $2,000 dividend income stream. For the purposes of this example, let’s look for companies that pay a yield of 2.5% or higher. We are assuming that these companies have a solid history of raising dividends for a minimum of 10 years and will continue to do so for many years to come. Note – In today’s market, it is difficult to find quality companies with a current yield over 3% … so we lowered our threshold by a half a percentage point from the previous example. Running a quick screen, there are plenty of top notch companies out there currently offering a yield above 2.5%. For example, Johnson & Johnson (JNJ) at 2.75%, Target (TGT) at 3.70%, and Realty Income Trust (O) at 4.20% have all been raising dividends for many years. Note – The current yields noted above for JNJ, TGT, and O are a point in time and are now out of date by the time you read this. So in order to raise $2,000 in dividends by purchasing shares in Johnson & Johnson, Target, or Realty Income Corp … you would need between $47K to $73K of money to invest. You are probably thinking, I don’t have an extra $50,000+ lying around ready to invest. You are certainly not alone. That is why it may be easier to build $2,000 in dividend income by investing one month at a time. And that is exactly what my wife and I have been doing for the past 9+ years. Also – I am not recommending purchasing all your shares in one stock alone. It is important to diversify your portfolio with many quality dividend paying stocks. I know that our family doesn’t have an extra $50,000 lying around waiting to be invested. While we do try and live well below our means, that isn’t enough to keep that amount of cash on hand. But what we do have is an extra $8,000 to invest one year, another $13,000 the next, and $10,000 the following year. This year (2017), we are trying to invest close to $17,000 of our income into the stock market. In total over those 4 years, we have come close to having $50,000 to invest! Since buying our first dividend stock over 9 years ago, we have invested a total of $59,346.31 into our income portfolio. Collectively these stocks are earning a yield on cost of 4.35% for a future annual income of $2,580. That is well above the $2,000 threshold for dividend income! So instead of worrying about having a large sum of money to invest, it is perfectly fine to start slow and invest one month at a time. Even though we don’t necessarily have to build our $2,000 income stream overnight … there are a few things you can do to try and accelerate the process. For example, take advantage of zero cost brokers any chance you can get. Companies like Robinhood and Stockpile have made it possible to invest for as little as $1 … with very low (or even none) commissions. Use these brokers to save all those commissions and fee’s so you can invest small chunks of money each month. Not having enough money should not be an excuse not to invest! Another tip for hitting your target sooner is to use large lump sums of money to invest in your dividend growth portfolio. For example, the past 3 years my wife and I have invested $5,000 of our tax return into dividend stocks. That is about 25% of our total investment in dividend stocks coming from tax returns. We have also taken advantage of cost of living or raises from my full time job to invest the difference. Our spending doesn’t really change now when we have an increase in income. The difference is simply invested into our portfolio. Finally, it is an absolute requirement that you reinvest your dividends. Some day in the future you can use your dividends to live off of, but when you are building your portfolio … you need to leverage your dividend income too. You can sign up for dividend reinvestment plans (DRiP) or could invest in single shares of stock through Robinhood (zero commissions) with your dividend income. It doesn’t matter how … just reinvest that income! Investing around $66,667 in several quality dividend stocks earning 3.0% yield or higher should help you reach $2,000 in annual dividend income. Whether you invest this amount of money all at once, or you break it out over several years like we did doesn’t necessarily matter. As long as you have a plan in place to reach $2,000 in dividends, it is certainly achievable. Becoming creative in how you invest can also help reach $2,000 in dividends. My wife and I could have certainly used our $5,000 tax return on a wonderful trip. But instead we used it to build our dividend income up this year. This move will not only push us to $2,000 in dividends, but will bump us past $3,000 next year! We will likely do the same thing next year and the year after. Have you reached $2,000 in annual dividends yet? What advice can you offer those still working towards this goal?